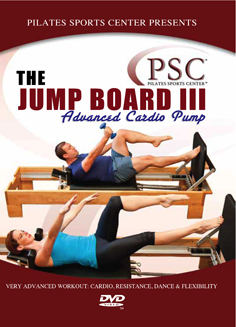 The 3rd installment of the popular Jump Board series! All new advanced variations with hand weights and some tough dance moves. This is a very challenging cardio workout on the Reformer unlike any other of its kind. After about five minutes of this calorie burning workout your heart rate will be elevated and you’ll be…..